BETWEEN “ANTONIO EBANGELISTA” (THE “FALLEN ANGELS”) AND THE PEOPLE BEHIND THE “SPLENDOR OF THE CHURCH BLOG” (CATHOLIC DEFENDERS)? ABOUT $101 million (P4.7 billion) was stolen from the account of the Bangladesh Central Bank with the Federal Reserve Bank of New York by hackers. At least $81 million (P3.8 billion) was wired to the Philippines. This is the biggest money laundering scandals to hit the Philippine banking industry in recent history. Many things have been said, rebutted, and confirmed as the Senate tries to get to the bottom of one of the biggest money laundering scandals in recent history. 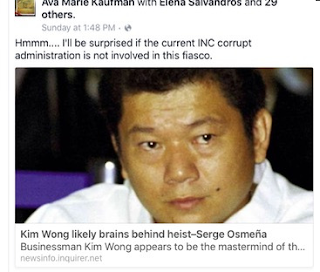 And no bit of proof proving the involvement of the Iglesia Ni Cristo in the said scandal. 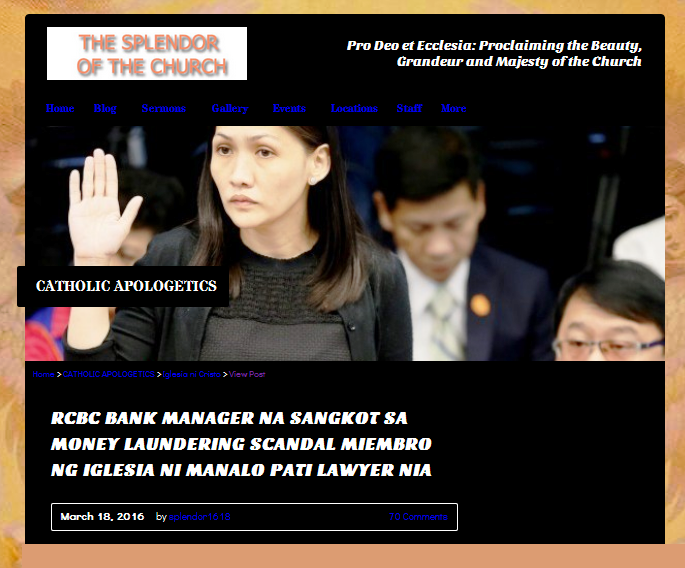 This blog is administered by a Roman Catholic priest, Abe Arganiosa. The main purpose of this blog is not only to answer the attacks against the Roman Catholic Church, but also to destroy the Iglesia Ni Cristo, the second largest church in the Philippines. With this aim, every news or issues that they can use against the Iglesia Ni Cristo, they will not be hessitant, and without any confirmation, they will use it against the INC. 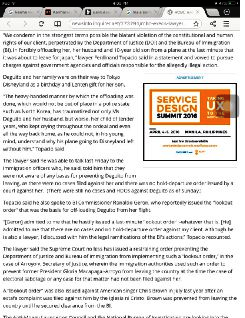 It is ridiculous to claim that because Topacio (Deguito’s lawyer) is a member of the Iglesia Ni Cristo, Deguito is also a member of the Iglesia Ni Cristo. Remember that Topacio is also the lawyer of ex-president Gloria Macapagal-Arroyo, that this means that GMA is also a member of the Church? 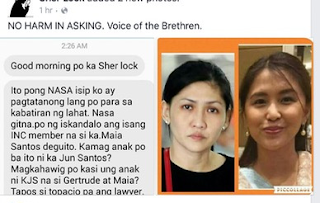 We definitely know that Gloria was not a member of the Iglesia Ni Cristo. Infamous “AE” claims that Ferdinand Topacio only trying to cover up the “truth.” He also claim that the INC Administration only denying the “truth.” So, AE, if Deguito is really a member of the Iglesia Ni Cristo, please stop the “hullabaloo.” Show us evidence! Oh? Well, I forgot, presenting evidences is no importance to you. It is not your style. Your “job” is only to throw accussations, and wait for the readers to send you evidences. Right? We went to the Locale of Bel-Air, and the Church officers their denied knowing Deguito. We went to the Locale Secretariat to see in the locale registry. 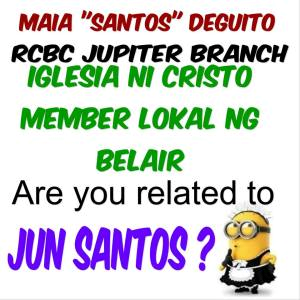 No “Maia Santos” or “Maia Santos Deguito” registered in the Locale Registry. Every locale of the Iglesia Ni Cristo has a Locale Registry Book where you can find the present members of the Church in the locale, and even those who already transferred, died and been expelled. 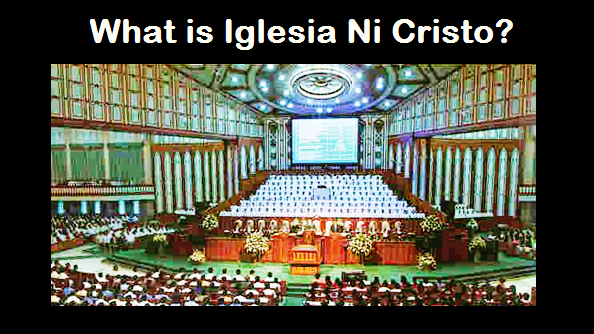 Thus, it is easy to prove that a person is indeed a member of the Iglesia Ni Cristo. 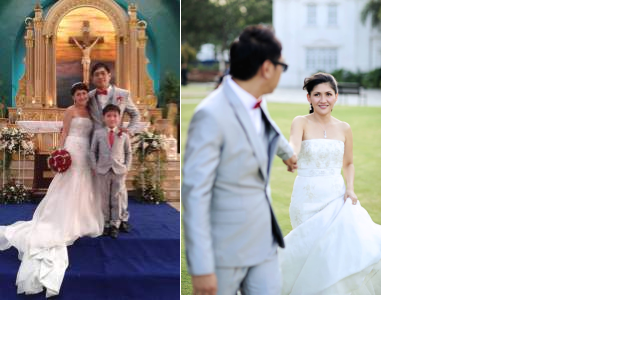 What you have to do is to prove that he or she is registered in a certain locale congregation of the Church. She has a “lenten gift for her son”? Iglesia Ni Cristo members don’t celebrate lenten! in the last Senate hearing she attended. What is the similarity between “Antonio Angelista” and the Roman Catholic apologists behind the “Splendor of the Church blog”? Both are not after the truth that’s why they don’t bother to first make confirmation, but to immediately use any issues they can use against the Iglesia Ni Cristo. 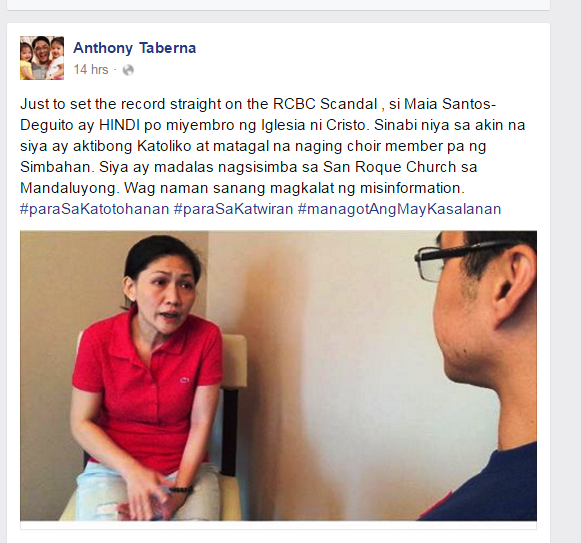 What they after is to destroy the reputation of the Iglesia Ni Cristo. THUS, BOTH SHARE THE SAME SPIRIT - TO DESTROY THE IGLESIA NI CRISTO (CHURCH OF CHRIST). 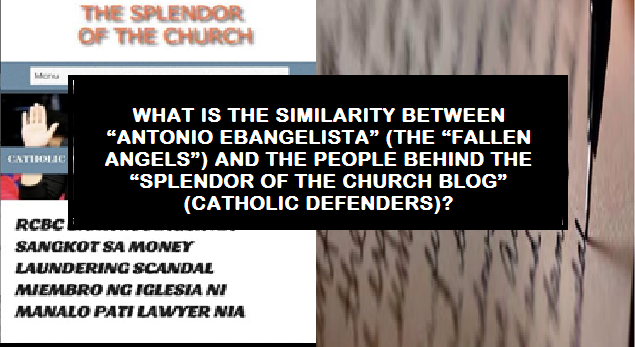 Why “AE” (“the Fallen Angels”) and the people behind the “Splendor of the Church blog” (the Catholic defenders) both have the same spirit? Evidence is a Must! Puro Kasinungalingan kulang naman sa Ebidensya! Same feather,flocks together ika nga..kahit magsama p kaung tumuligsa..ndi kau mananaig sa Katotohanan at Katwiran! Ama n Bhala senyo! Parehas na lumalaban sa Iglesia. Parehas na walang maibigay na soldiong ebedinsya. Parehas na mga tiwalag. Paano naman sila paniniwalaan? 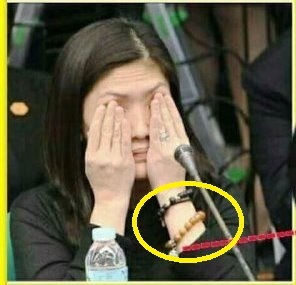 Alam ng Ama ang totoo. Kaya hindi niya pinababayaan ang kanyang Iglesia.